Tales From Twisty Lane: Steep Right Up! and I enjoyed the day by walking up to the Village. A stop at the new Starbucks for a Green Tea. Sitting outside with my book. is the second book in the Kopp Sisters Novels. real life adventures in New York in 1914.
and even has a little Texas embedded in the center of the palm. I wanted to share my new tea cup. "Steep Right Up" to spring! it's time for college baseball! 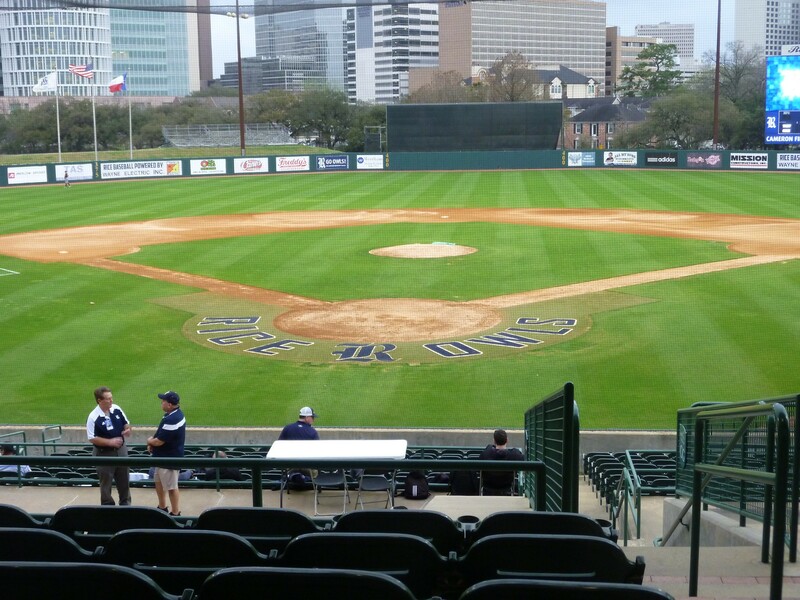 This was opening night at Reckling Park. I like to get to the ball park early! That's my This and That for the last week. Wishing YOU well, much joy and sunny skies! That book series sounds intriguing! I'm going to check it out! Still to chilly here to sit outside, but it's stopped raining and the sun is shining! Lucky you! Enjoy your weekend! Wonderful post Sharon. I'm grateful for your book recommendation and will be checking our library for it the next time I'm there. Thanks for the book recommendation - sounds good! 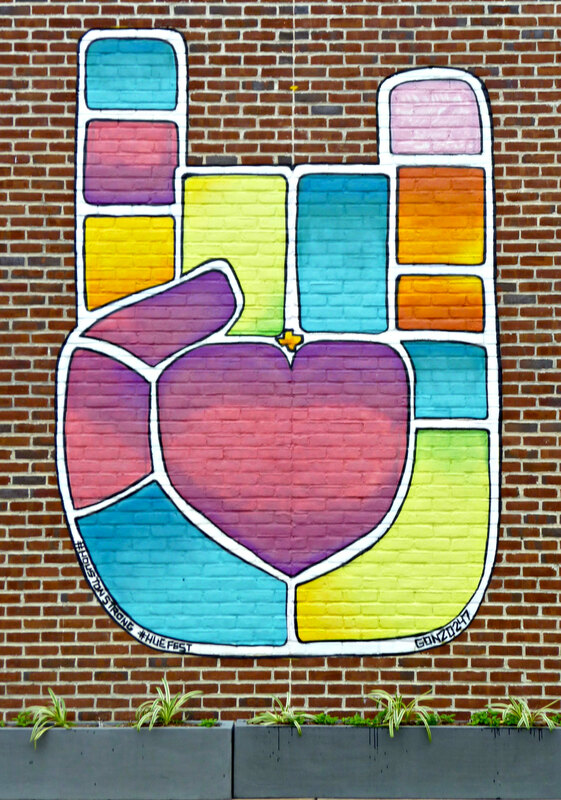 Love your new blog header - so appropriate for March! OK - even though it's still cold here, you have put me in the mood for a Green Tea Frapp at Starbucks!!! The book sounds great! I love vintage mysteries and I love your spring things! 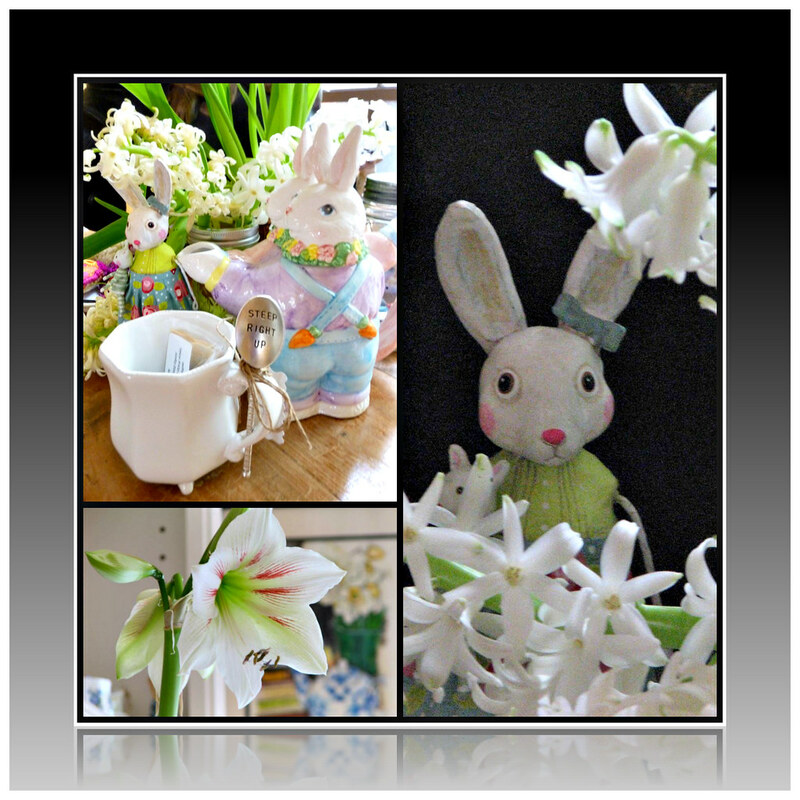 OOOOOoooo I love the Easter vignette you created! So delightful. Just seeing it made me happy. Wishing you a DeLovely weekend. Luv all the images; especially "steep right up"
I'll see if my library has those books! Sounds like a series I would like. LOVE your cute bunnies and pretty flowers! Enjoy your week! Hugs! Your blog is looking positively spring-y, and is a welcome sight these days as winter lingers on. What a cute mug your friend gave you. Enjoy the baseball games! Your this and that this week made me smile, what fab mosaics they made. Love your bunnies and new mug, the spoon is so cute. Hopefully sitting outside will be possible here soon....waiting patiently for sunshine and flowers. Your collage is lovely, so bright and spring like. 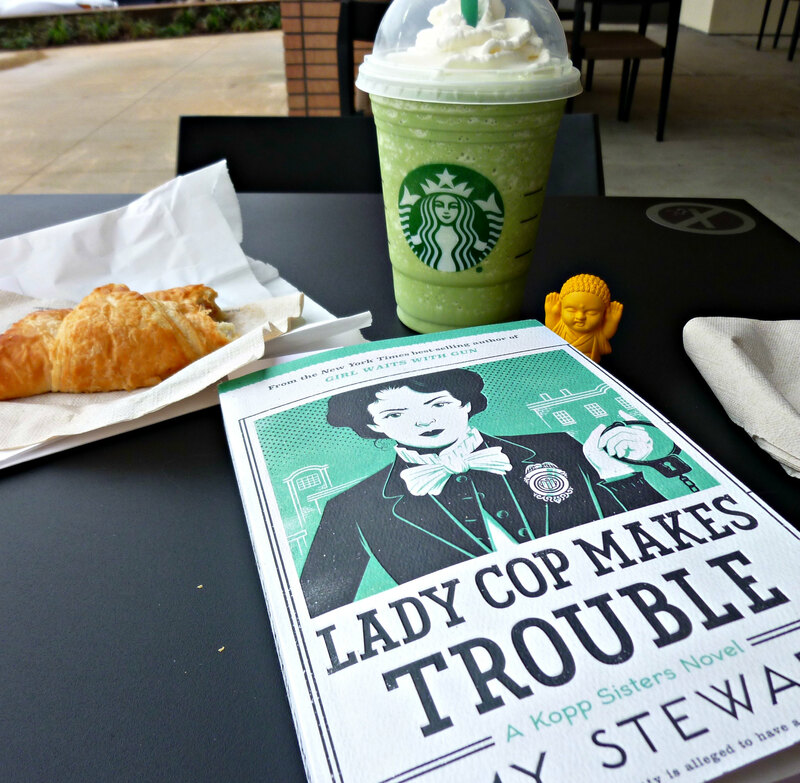 How wonderful!A book and Green tea of Starbucks,they are always good friends! 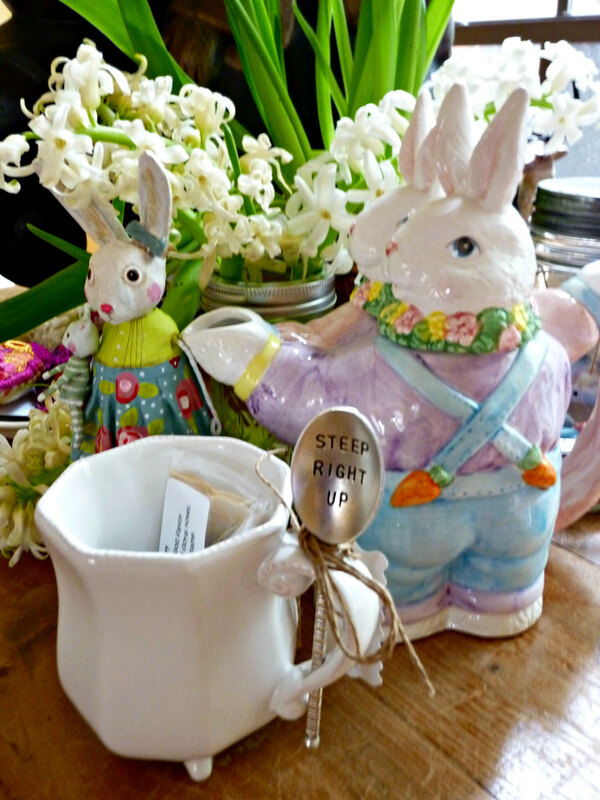 Love your bunny teapot, and the cup and spoon is so cute! Love the saying! I will look for the book...haven't heard of it before. Am an avid reader, so, that goes on my list! I am not a matcha fan, but it always looks so inviting! Have a great week and thanks so much for linking to Tuesday Cuppa Tea! Hi!Your header is just wonderful!Love the cute bunnies and teacup too.Beautiful flowers.Hugs! Ah, looks like my old hometown.....HOUSTON! Green tea frappucino is one of my favourite Starbucks drinks. Your new cup and teaspoon are adorable. The dancing rabbits teapot also made me smile. Thanks for stopping by. Such a exciting cup of Green Tea with so much to ‘ Show and Tell” ... Love your little bunny teapot...I guess we all know where the Easter Bunny is stopping( ha ha) ... Thanks for sharing your activities..It was fun !!! Thanks for visiting the Garden Spot. Love you bunny and Easter inspiration. I am ready to get my Spring decor out of storage. "Steep right up" - that is adorable! I'm going to look for those books - I've never heard of that series and I've just been looking for something new. I love your Bunny teapot and pretty new mug with its own spoon, Snap. 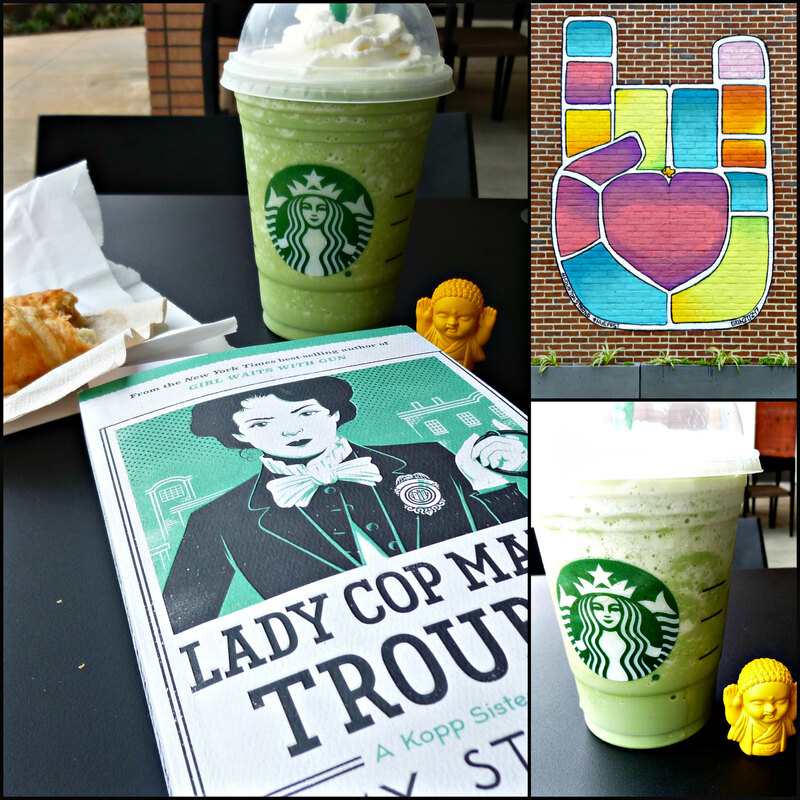 I have not had a green coffee drink at Starbucks as yet this season--hopefully, I can try one soon as it looks like a great treat! The books sound great and I just went to the Library and put myself on the wait list for the first one (in Kindle format). I love being in Florida and checking out a book from our Oregon library! Thanks for the recommendation. Almost forgot to come back and thank you -- and tell you I enjoyed the rest of the post too. Spring looks lovely at your home!